Former England winger Nick Barmby has joined the coaching staff at League One Scunthorpe until the end of the season. The 45-year-old ex-Liverpool player has been brought in by caretaker manager Andy Dawson at Glanford Park after Stuart McCall was sacked on Sunday. 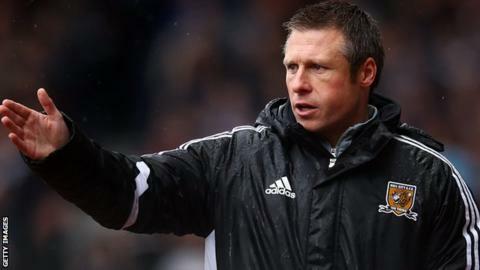 Barmby's previous managerial experience came at Hull City, when he took charge from November 2011. "He's got massive knowledge of the game, I respect him enormously," Dawson told BBC Radio Humberside. Scunthorpe are two points above the relegation zone in League One with seven games to play. "I'm sure he can massively help us out over the next six to seven weeks," added Dawson, who played alongside Barmby at Hull. "It's good to have him in along with all the fantastic coaching staff we have to help us try and achieve all we can."